Welcome to learn more about Leivonniemi. We are pleased to tell you how our journey started and how far we have come since the founder, Heimo Leivonniemi, had the first idea of the business. Leivonniemi Oy is a Finnish family-owned business that has achieved already third generation traditions. 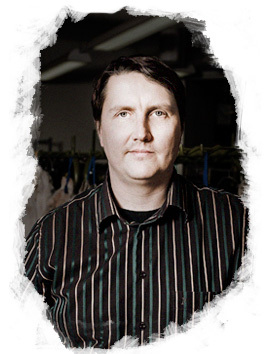 As an active sales man Heimo Leivonniemi founded the company by following his passion towards furs. 60 years ago Heimo started to sell furs and leathers. He learnt about fur farming and was devoted to find only the best raw materials. After successful start his children joined the business: his son Aimo Leivonniemi took the Director's role and daughter Anita is responsible for Marketing. Since 2012, Aimo's son Matti Leivonniemi has operated as a Managing Director of Leivonniemi. Before stepping into management Matti worked 10 years alongside with his father, eagerly listening and learning the business. He gained further knowledge abroad. As always being a visionary Aimo suggested his son to study Russian that has been since a remarkable strength in Leivonniemi's development and international affairs. As it is today Leivonniemi continues providing superior service to customers and fulfilling their individual needs better than ever.